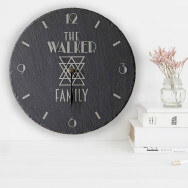 Our slate clocks are such an unusual gift and are always incredibly popular with our customers. 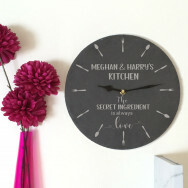 We have many different designs perfect for in the kitchen, dining room, a wedding gift, anniversary gift or even a gift to yourself. 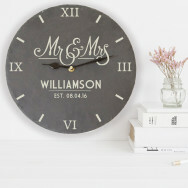 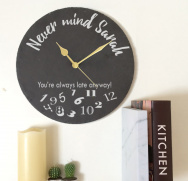 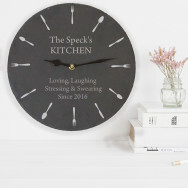 Browse our range of slate clocks that can be personalised to add that personal touch to your home!